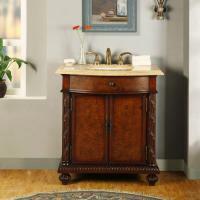 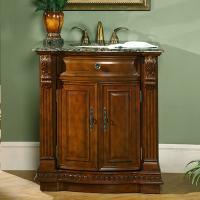 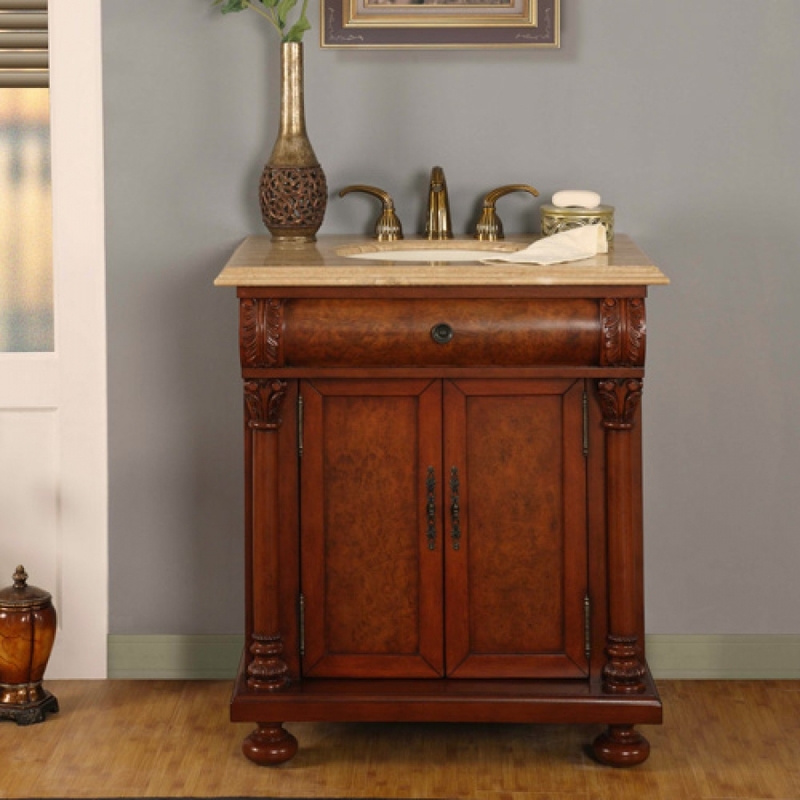 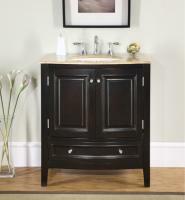 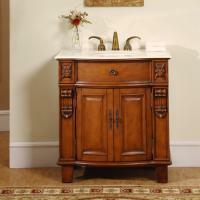 The focal point of this lovely little vanity does not make an appearance until twilight hours darken the room. 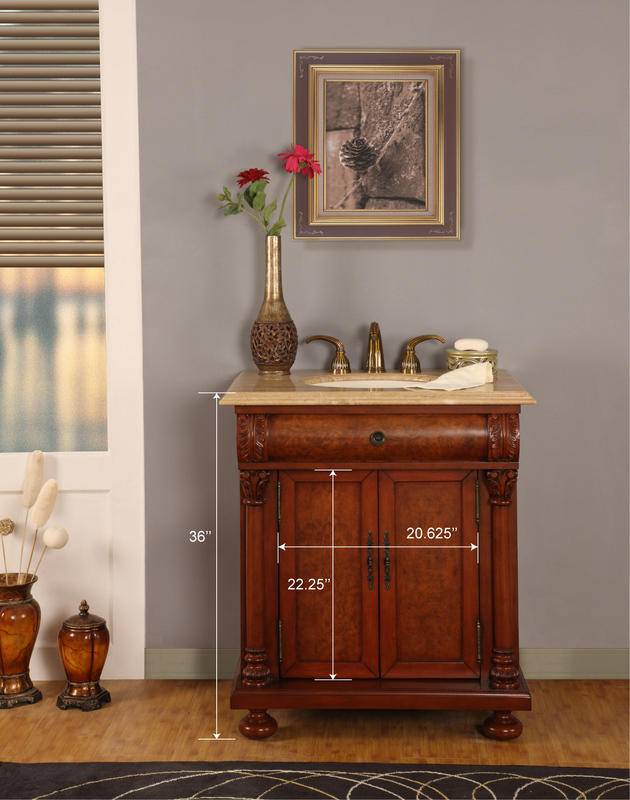 Then, LED backlighting brings the cabinet to life and provide a nice glow for stumbling through the washroom afterhours. 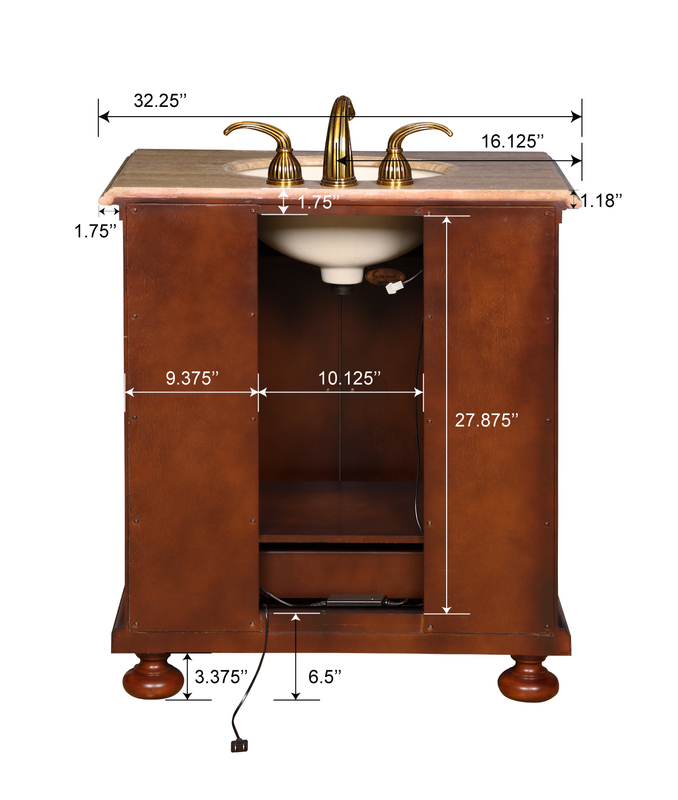 Under sink storage space and predrilled sink make the piece functional during daylight hours as well.